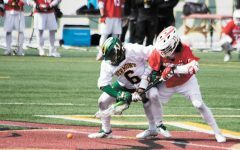 Stony Brook University’s three-time America East conference player of the year Jameel Warney scored 43 points, helping the Seawolves deny UVM an NCAA Tournament bid. 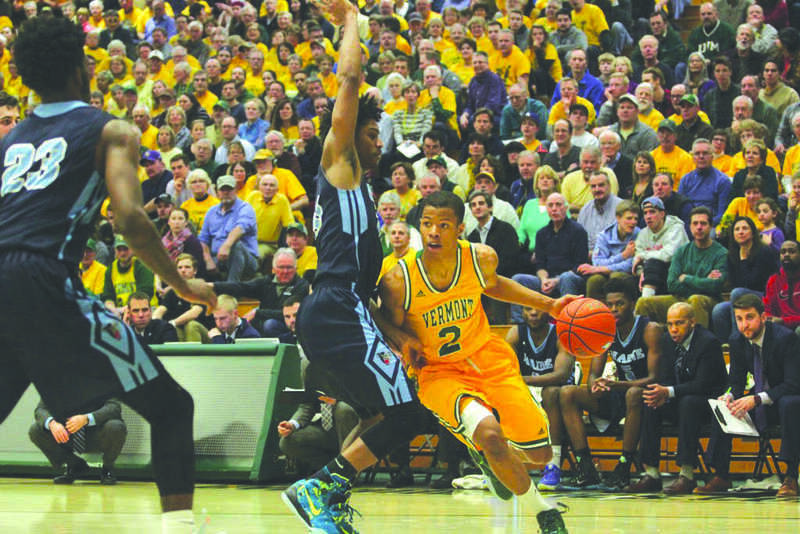 In the America East Championship, the Catamounts came up short against top-seeded Stony Brook, losing 80-74. 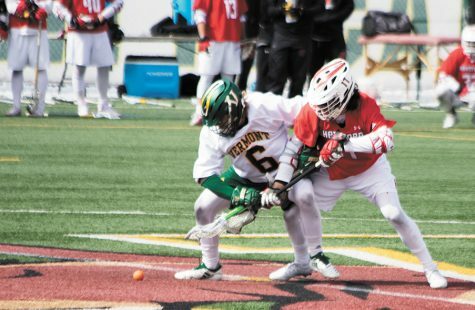 Stony Brook had an early head start in the game, taking a five-point lead with 10 minutes remaining in the first half. However, the Catamounts stormed back, capitalizing on a steal in the final seconds of the first half. The steal led to a fast-break layup for junior guard Dre Wills as time expired, with the Cata-mounts holding a 36-27 lead. 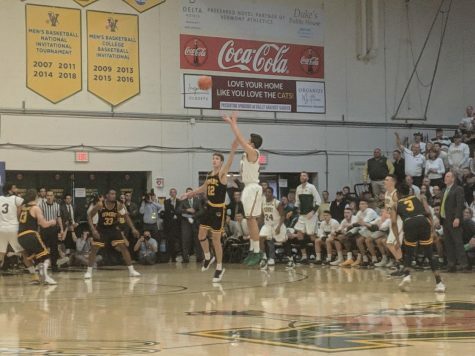 Vermont extended their lead to 15 points five minutes into the second half, 48-33, behind a balanced attack of scoring, silencing Stony Brook’s home crowd. Stony Brook came alive in the second half, carried by Warney, whose 43 points were a career high, according to Stony Brook athletics. 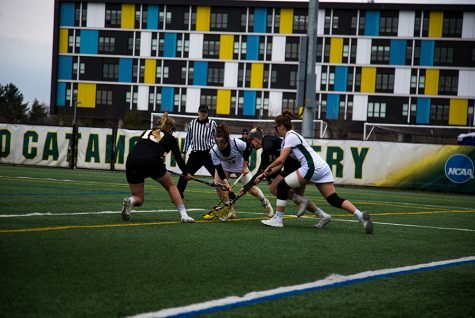 The game went back and forth in the final minutes after Stony Brook erased the Catamounts’ lead with six minutes left to play. 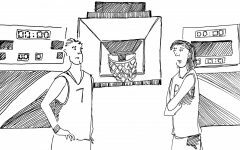 Warney, who was named the tournament’s most outstanding player, proved to be too much for the Catamounts with senior forward Ethan O’Day and sophomore forward Drew Urquhart both fouling out of the game. 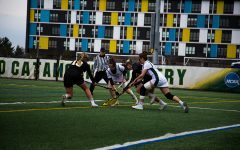 Warney led the Seawolves to 50 second half points. 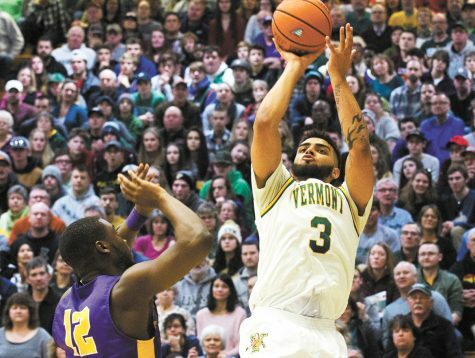 The Catamounts were unable to keep up their scorching pace from three-point territory, as they shot only 40 percent from behind the arc in this game, a far cry from their 53 percent rate in their previous victory at Stony Brook Feb. 27, according to UVM athletics. 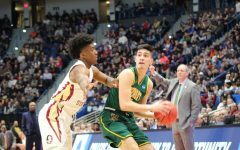 The loss brought Vermont to 21-13 on the season, and end- ed their prospects of advancing to the NCAA men’s basketball tournament. 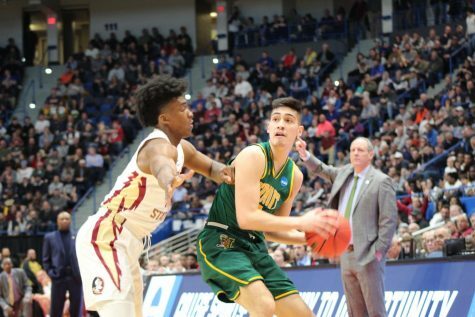 If Vermont had pulled out the win at Stony Brook, it would have been UVM’s sixth NCAA tournament appearance in school history, according to ESPN. 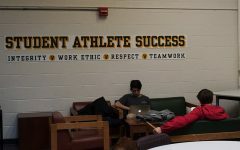 Vermont received a bid to the College Basketball Invitational, a postseason tournament comprised of 16 teams, accord- ing to UVM athletics. 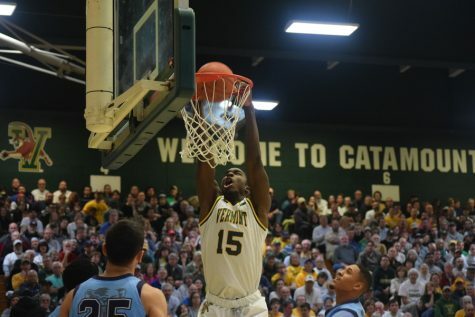 The Vermont Catamounts will host the Western Carolina University Catamounts in the first round of the CBI at Patrick Gym March 16 at 7 p.m.